Random Thoughts---Naba: How Do I Make My 4-Month-Old Fall In Love With Reading? How Do I Make My 4-Month-Old Fall In Love With Reading? This week I'm joining the wonderful people at Literacy Musing Mondays with a guest post where I talk about my desire to make my baby fall in love with reading. Emergent literacy skills are so important and encouraging reading at a young age is central to ensuring your child is a lifelong reader. I'll share some insights on emergent literacy in infants and I hope you enjoy my post. As I type this, my four-month-old daughter sleeps, blissfully unaware of the world she is in, with my kindle right next to her. Two of my most favorite things in the world, right where I want them. As I look at her, I wonder if she’ll also grow up to be like her mom, always a book, or now kindle, by her side. I wonder if she too will fall in love with reading and live her happily ever after amidst pages of written words. And then a question pops up in my mind. How do I make my four-month-old fall in love with reading? Call me crazy but I really, really want to show her this world of books. I want her to experience the need to read just one more page before turning in for the night. I don’t just want to introduce her to this amazing world of books but I want her to feel it, love it and connect with it too. But, what can I do to make her see reading the way I do? You have no idea how much I have pondered on this. All through my pregnancy and every day these past four months since I first held her in my arms. And then it hit me. Maybe the answer lies in my childhood. It was what you call the eureka moment. If I remember correctly, I was about two and a half to three years old when my dad first started telling me stories while feeding me. It was his way to get around my tantrums while eating. The tales he wove were my reward for behaving at the dinner table. As days passed, I found myself eagerly waiting for meal time with dad. Not for the food but for the next new story that he had in his repertoire. I was hungry to hear more, imagine more. I think that was the whole reason books became my best friends when I was old enough to read. I wanted to hear more stories so I started looking for them in books. And I don’t know when but reading became an inseparable part of me. So, I think I know where I have to start. Makes stories her reward. The sooner the better. When my daughter is old enough to understand, I’ll start with telling her stories that I grew up on. A story or two while tucking her in, one while getting her to eat her food and maybe even while driving her to the creche. The point is to make her see stories as a reward, as a gift and make her yearn for it. So, every time she does something that deserves an accolade, encouragement, I’ll offer her a story too. Maybe then she’ll grow an appetite for more which in turn will lead to reading when the time is right. To pique her interest in reading, I need to read in front of her, with her. One of the things that children do always is take after their parents. They have a keen sense of observation and nothing escapes their inquisitive eyes. That is something I plan to play on to get the reading bug to bite her. I never ever go to bed without reading a few pages. This is my nightly ritual. Even if I’m dog tired, I do it. So, maybe when she sees me do it every day, she’ll do the same. It could be our mother-daughter thing at the end of the day, read books together. Introduce her to the amazing word of bookstores. When you have kids, trips to the amusement park, the movie hall where, say, the Kung Fu Panda is being played or even the Dunkin Donuts, become a norm. These are things that kids enjoy and look forward to doing. So, I think along with these trips to bookstores, if done right, could also make introducing them to reading much easier. And to achieve just that, I plan to take my daughter to a bookstore at least once every month. It could be another of those things that we do as a mother-daughter duo, just spend hours and hours lost in aisles of books, with books. So many stories under one room. That ought to entice her, right? It’s not that I wish to shove reading forcefully down her throat. I want to do it right because I know how wonderful it is. And it’s not just discovering stories or leading many lives by virtue of these stories that I want her to grown fond of. There’s more to it. Reading equips you better for life, I feel. And I want that for her. I want books to be her friends too and we all know that’s a lasting bond. So, tell me, do you have any suggestions for me? How can I help my daughter discover the beauty of this magical world of books and reading? You may have noticed we delayed our start of Literacy Musing Mondays to early Monday morning to honor the Easter Holiday. I hope you had a wonderful time with your family. Let's Celebrate Literacy together now! This post just reinforces the importance of reading to your children at all stages of their growth and development. She has a great list of books to read throughout their growing up years! Be sure to check it out. We also want to be loving community by supporting one another. Please make a point to do this this week! Visit the two posts before yours and at least one other blogger's post of your choice! I want to see lots of clicks on everyone's posts. I know as a blogger, you know how it feels not receive comments, right. :) Plus, you could be honored as our Top Commentor if you submit your report to Mary! Remember it is also nice to follow them on their social media platforms like Twitter and Facebook. Come join the fun! 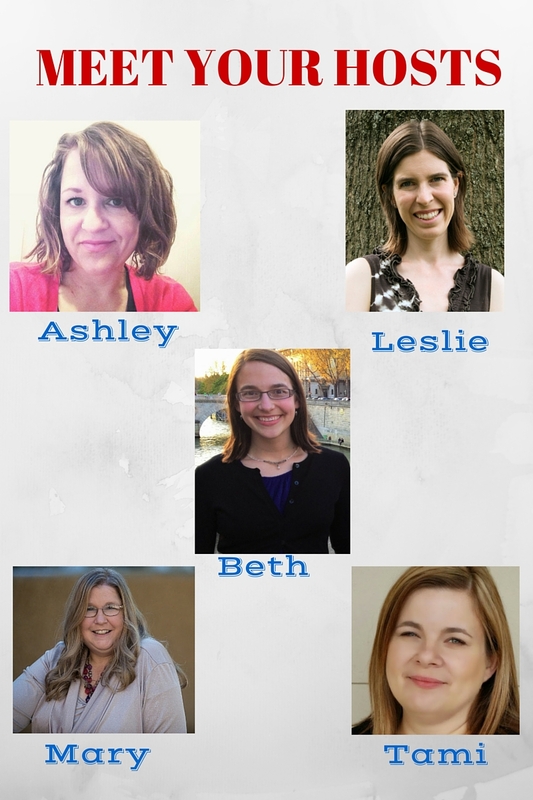 Link up your family-friendly, book- or literacy-related posts at #LMMLinkup ! 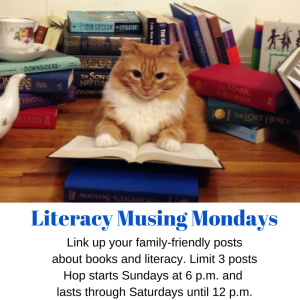 Let's Celebrate Reading and Learning together this week at Literacy Musing Mondays!